I wanted to go back to Spain. I’d been before, but this time my work schedule got in the way. When the moment of planning came to pick travel dates and evaluate what region to visit and where to stay, my ideas became a tangled nightmare. “Do I get that in any office supply store?” was my response. “No, use my personal travel planner” she said “You will get all the help you need and at a reasonable price.” And that’s what happened. I was put in contact with a versatile, patient and experienced travel expert. Plans were made and my travel experience was wonderful from the beginning. No travel delays, the hotel reservations were done by her with no hitch, and she gave us the best itinerary with no waiting in queues, in the exclusive tourist spots. She also advised us on the best restaurants, the best fiestas and live flamenco shows. She was good and being that Spain is a passion of mine, she was on point all of the time. For someone who doesn’t know the country they are about to visit, travel planners are life savers. My travel planner was an expert, she had lived in Spain for more than 20 years. She knew the ins and outs of each town and region in her territory and had a cordial relationship with hotel owners. She knew my language, and also spoke Spanish. With this inside person, who could say no to such a great service? I felt pampered. The service was exclusive, the prices were good, and we all enjoyed every minute of our stay in Spain. Now that I have shared my experiences with a travel planner, I will explain why I think it’s a good idea to use a travel planner. Travel planners live locally (or should do) and with plenty of contacts are capable of taking the hassle of planning off your shoulders and allowing you carefree travel. Having a helping hand when you are abroad always gives you the peace of mind and the feeling of safety. The travel planner knows your time is valuable, that is why they listen to your needs, and cater to them. Travel planners have the time to do more research for you on things you want to see. They are continually educating themselves, and visiting new places in the area to learn about hotels, culture, new activities, natural parks and carnivals etc. The services they provide can be like a concierge service: making reservations, booking accommodation, transportation, and costume collection. Another added bonus is that a travel planner gives you access to their website and blogs, where you can read information about your destination. These blogs are very informative and can include pictures or video of the travel planners’ experiences. A travel planner will do all this for you or with you so that all you have to worry about is getting on the plane, and everything else is organised for you. One thing that is obvious is that travel planners charge a fee depending on their services and you pick the one that is convenient to you. Then there are other travel planners who do not charge you a fee because the airlines, hotels and restaurants are the ones paying them. So the next time you want to take a trip, consider a travel planner. This post was written by Carolyn Pachas. Carolyn is a professional communicator and digital marketer who loves to travel. 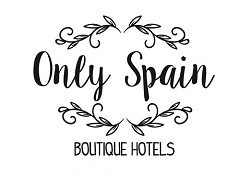 If you are looking for a Travel Planning Service for Spain then check out my sister site Only Spain Boutique Hotels – Trip Planning.